Great adventure, fun and excitement at Balay sa Agta cave in Argao, Cebu. Balay sa Agta or House of the Giant is one of the most interesting and challenging place specially for those who loves trekking and adventure. We took some photos and videos of our adventure in this great cave. There were lots of mountainers, foreigners and tourists who went inside the cave and all of them put a 5 star rating because according to them it's all worth it and it's very beautiful to see inside Balay sa Agta. Me and my three friends (dioram, bob and abby) accepted this challenge and conquer our fear of heights. 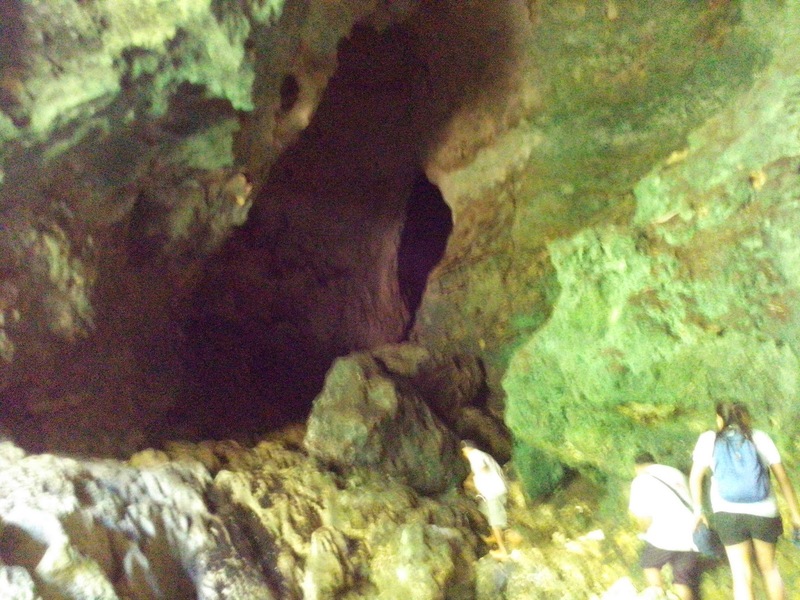 Before going inside the cave you'll have to cross that 1ft width nga agianan while naghupo para dili mapakong sa dakong bato. Well, the other side is a cliff where according to our guide na there's one tourist fell down and died. Thanks to our guide because they provided us safety measures like a harnes and a rope to hold while crossing that dangerous part. The most excited and interesting part is when you're inside the cave. 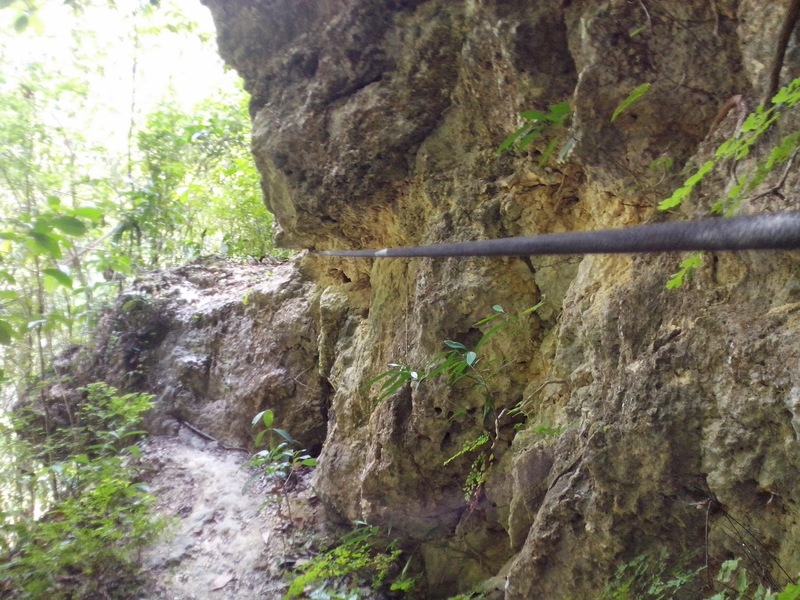 You will discover and personally see and touch the rock formations inside the cave (Stalagmites and Stalactites). There's a part of the cave where there's a hole above and the sunlight goes in. Our sample pictures will explain and let you see what's inside the Balay sa Agta cave in Argao, Cebu and how beautiful it is. Tips: We suggest that you don't bring too much stuff and don't bring bulky bags because it's too difficult specially when entering the cave. How to get to Balay sa Agta in Argao? From South Bus Terminal in Cebu City ride a Ceres bus going to Argao (fare is 83 pesos for air-conditioned bus). Travel time is 2-3 hours. After you reach Poblacion Argao go to tourism office and log your names. Tell the in-charge that you are bound to balay sa Agta. They're the one to contact your guides to the cave and a motorcycle going to Conalum. Travel time from Poblacion to Conalum is 30 - 45 minutes. Motorcycle Fee from Poblacion to Conalum = 100 Pesos each (but pwede ra daw hangyo pero kami wala nalang mi mohangyo kay medyo layo2x jud ang byahe.) per ride. For those who want challenge and more walking, you can try river trekking from Bugasok Falls going to Barangay Usmad. It could be more or less 1 hour of walking.